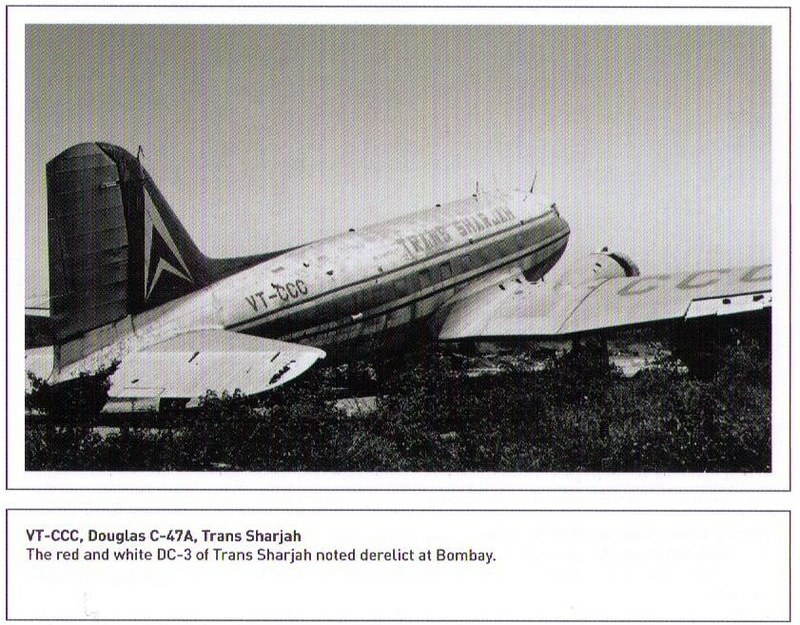 I was looking for info / pics of a particular DC-3 that was derelict at BOM in the 1980s. 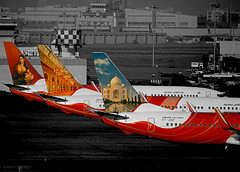 She was not amongst those parked near the hangars, but rather between two buildings at the Air India offices in Kalina. I recall seeing her often when I used to accompany my father to the IPG and flight scheduling offices in the early / mid 1980s, and always wondered why she was parked between two admin buildings. Would anyone know which aircraft I am referring to - or have pictures ? 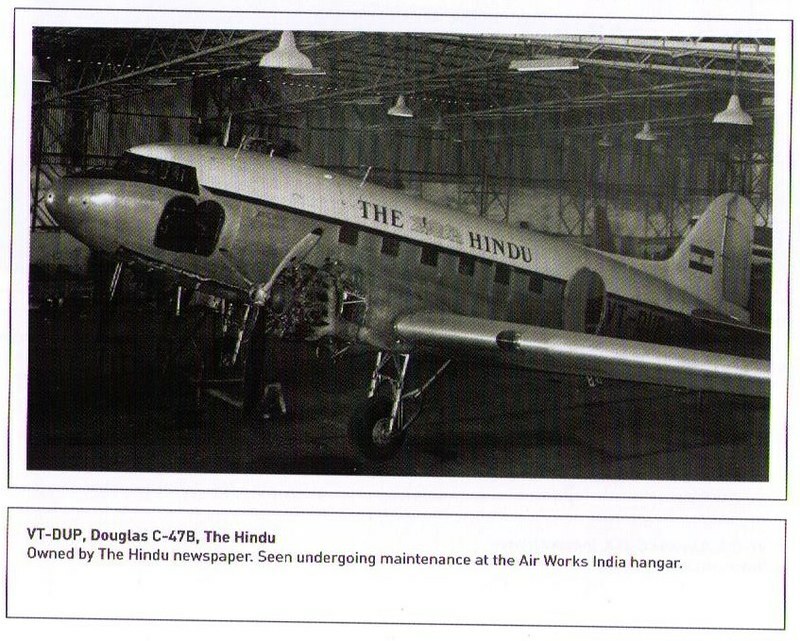 I did come find some info on the other DC-3s at BOM around the same time period, in the book "Mumbai Airports Through Time" by Sean DSilva and Jimmy Wadia. Here are scans from the book. First, three cheers for Mr. Jimmy Wadia and our own Sean for a wonderfully crafted book. 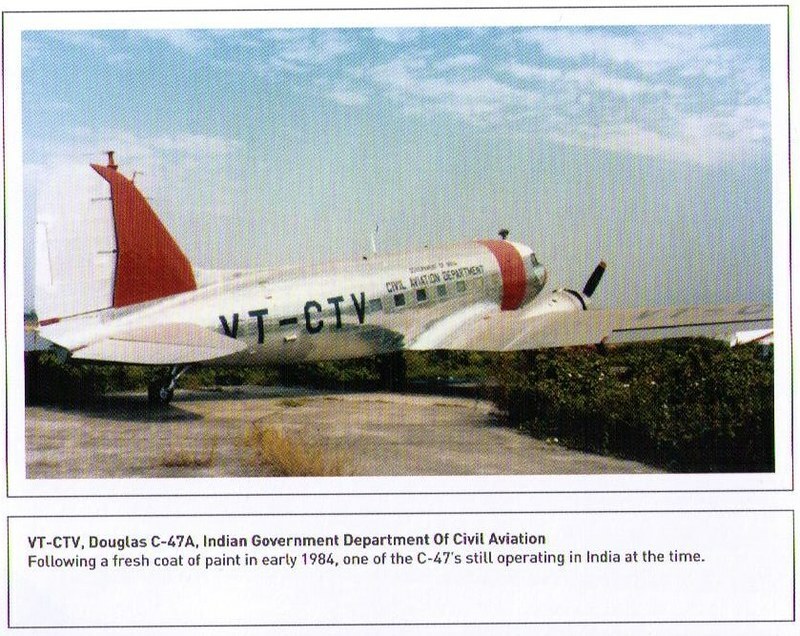 VT-DIB looks interesting as a C-54, a military version of the DC-4. I wonder if there are pictures of the same type operating under an Indian registration. Sumantra is right. 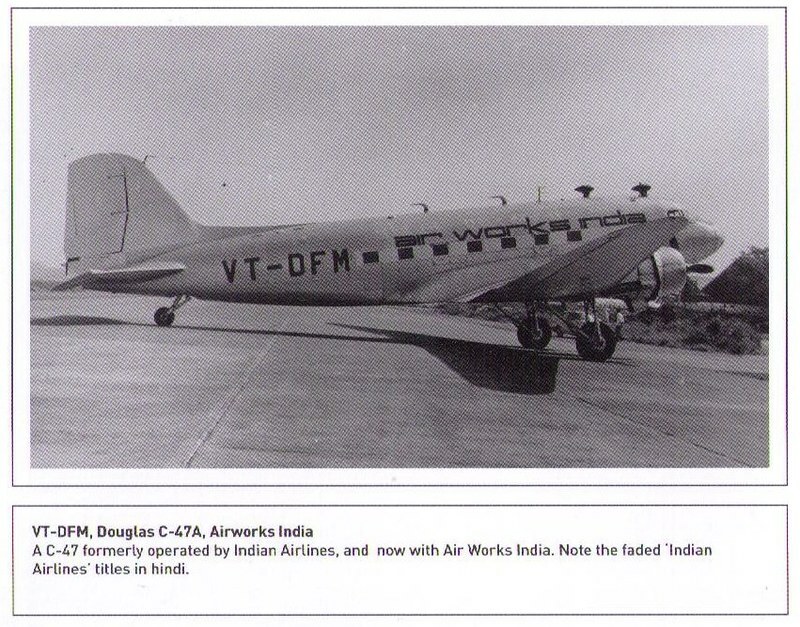 The first pic is a DC-4. It must be one of the ex-IC ones. 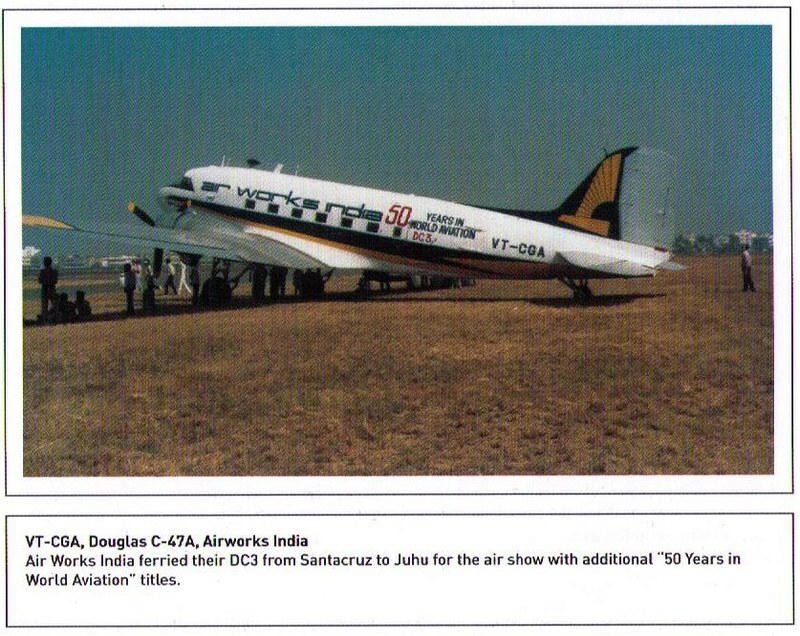 I would love to know how it landed up at BOM, as all of IC's DC-4s were based at CCU and were used for operating Calcutta - Port Blair flights. I wonder if there are pictures of the same type operating under an Indian registration. 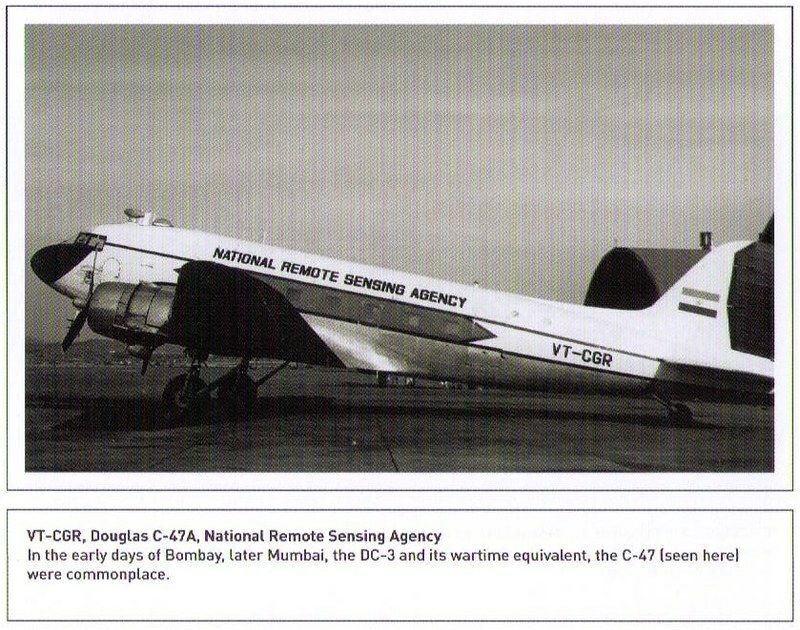 As for the daks, both VT-CTV (NAA) and VT-CGR (NRSA) were operational right till the early 1990s. CTV was used as a runway calibration aircraft, and CGR for remote sensing activities. VT-CTV is sadly, rotting away in DEL. This is a picture taken in 2006. Wonder what state it is in now. Besides the one I was looking for, there used to be another yellow colored DC-3 parked near the hangars at the old airport. Haven't found a pic of her either. There is a yellow colored Dak at Delhi airport. 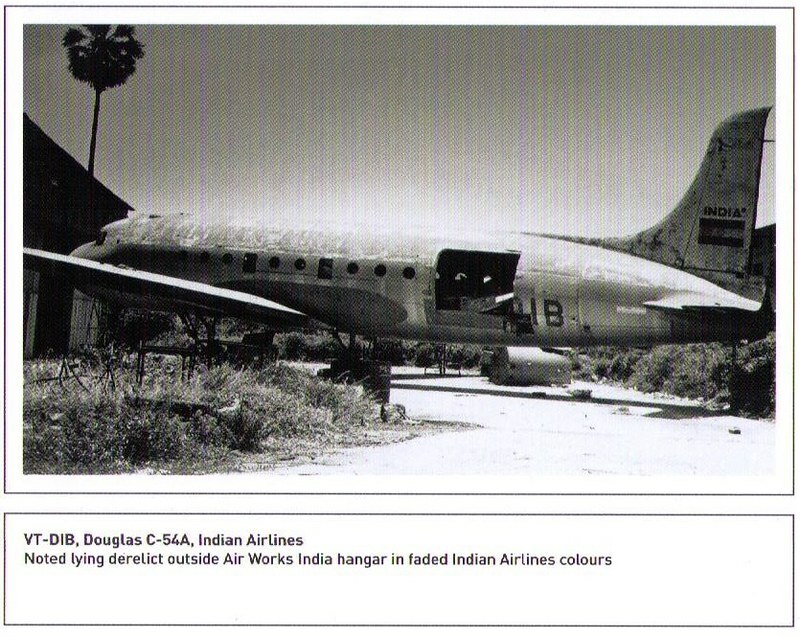 [quote="himmat01"]There is a yellow colored Dak at Delhi airport. 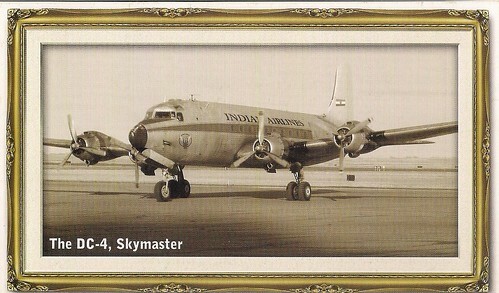 [/quote]...and one of the two ultra rare VIP-configured Tu-124Ks in India, a lovingly restored Caribou there, since there is no space in the IAF museum's current location. The Il-14 VIP plane had been taken outside for a while, but I do not know of its current whereabouts.